As a motorsport engineer you would design, build and test racing cars and bikes in all racing divisions, including single-seater racing (such as Formula 1) and bike racing (such as MotoGP). Your work would often be at the forefront of engineering technology. In this job you would need to be a good problem solver. You would need to analyse and interpret data. You would also have to work under pressure to meet deadlines. To get into this job you would normally need experience in vehicle engineering or a related area, such as component manufacturing, electronic controls or mechanics. 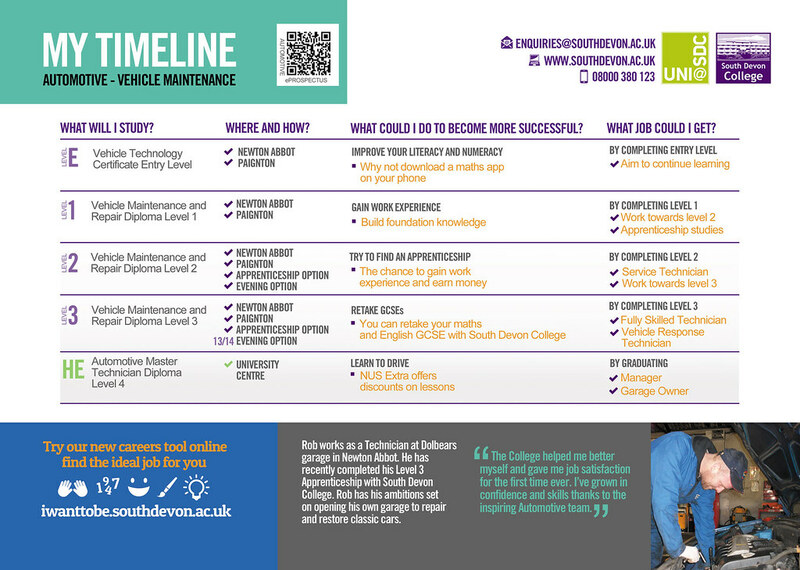 You would also usually need relevant qualifications, such as a foundation degree, BTEC HNC/HND or degree in motorsport engineering, or a related subject such as mechanical engineering. You may be able to do an Apprenticeship to start out as a technician, and then do further training to qualify as an engineer. almost 70% of science, engineering and technology associate roles will require qualifications at level 3 or above by 2020. Children and Young People Intervention Support Worker in Torbay for Southwest Intervention Services. Dog Walker / Carer in Cheltenham for The Dog Day Care Club. Seasonal Night Loader in Paignton TQ4 for Caterfood South West LTD. Automotive Vehicle Repair Technician in Torbay for Kentech Consultant & Construction. Driver using own vehicle in Paignton TQ3 for Domino's Pizza. Newspaper Delivery Person in Kidlington OX5 for McColls Retail Group. Part Time – 16 Hours Per Week in Reading for Queen Anne's School. Production/Stage/Event Crew in Bristol for Rock City Stage Crew. Service/New Build/Development Technician in Crewkerne TA18 for Ariel Motor Company. Experienced Mechanic/Horticultural/Agricultural Engineer in Woolacombe for Woolacombe Bay Holiday Parks.